Now that the summer weather is here, it’s time for music festivals! This Saturday is the 31st Annual Carolina Beach Music Festival. The festival is a great place to listen to beach music and is “the biggest and only beach music festival actually held on the beach on the North Carolina coast,” according to the Pleasure Island Chamber of Commerce. The bands start at 11:00am with North Tower performing, followed by Band of Oz at 1:00pm, and then Jim Quick and Coastline at 3:00pm. Guests are allowed to bring coolers, beverages, and food. Tickets are $20 in advance and $25 day of. For more information on the event or to buy tickets visit http://www.pleasureislandnc.org/events-details.php?id=1065. This Monday at the Country Club of Landfall there are Memorial Day Festivities! The day starts with a tennis mixer at the Sports Center at 9:00am lasting until 11:00am. The mixer is a great way to meet new people and enjoy the morning outdoors, while being active. Also, at 9:00am the Men’s 19th hole will be open for beverage service. Then, at 11:00am until 3:00pm there will be a Memorial Day Cookout at the pool. This weekend is the official opening of the pool for the season, which is always exciting! The pool hours for summer are: Monday-Thursday 10:00am–7:00pm, Fridays 10:00am–8:00pm, Saturdays and Sunday 10:00am-7:00pm. Come enjoy the start of summer with tennis and a cookout at the pool! This Friday is the first Downtown Sundown Concert Series in Wilmington. Now in its 11th Year the Concert Series takes place along the Cape Fear River every Friday night until September 2nd. The concerts are free and include both touring band and local performers. Alcohol vendors will also be there to sell alcohol to anyone wearing a wristband, which costs $1.00. Most of the headlining bands are cover bands, making it more fun for the audience since they are likely to know a lot of the songs. This week’s band is 42 Coldplay, a Coldplay cover band. The concerts start at 6:00 PM and last until 10:00 PM. The performances will take place in the parking lot at the corner of Princess and Water Streets. For a full list of performers visit http://www.wilmingtondowntown.com/_files/docs/2016sundownposter-finalv2.pdf. This Friday night come enjoy the warm weather and listen to a great band! 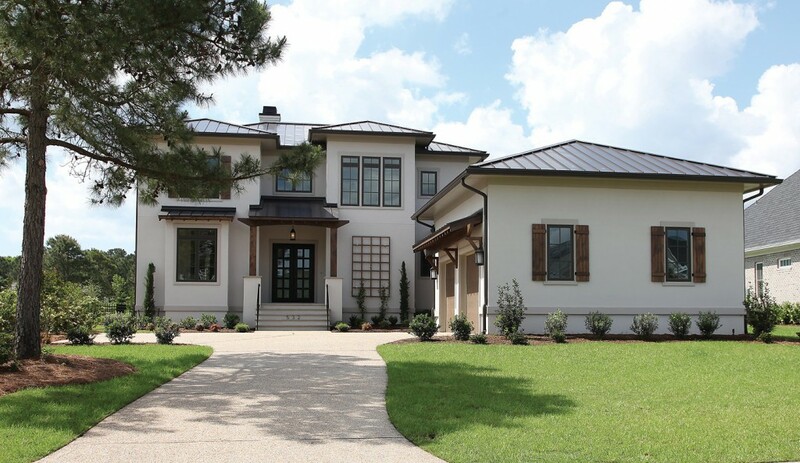 This stunning One-Of-A-Kind home was designed and built by Cress Bell with Jordan Built Homes. It has absolutely everything your heart desires from top to bottom. If you can think of it this home has it! The home features a Large Open Floor Plan with downstairs Master Suite as well as an additional Gracious Downstairs Bedroom. The Well Appointed Modern Kitchen is open to both Dining and Living Areas. The Upstairs boast two more Bedrooms and a large Media/Recreation area with full wet bar. Impress your guests with Outdoor Entertaining at its best with fabulous views of the Number 8 Fairway on the Nicklaus Pines Course. 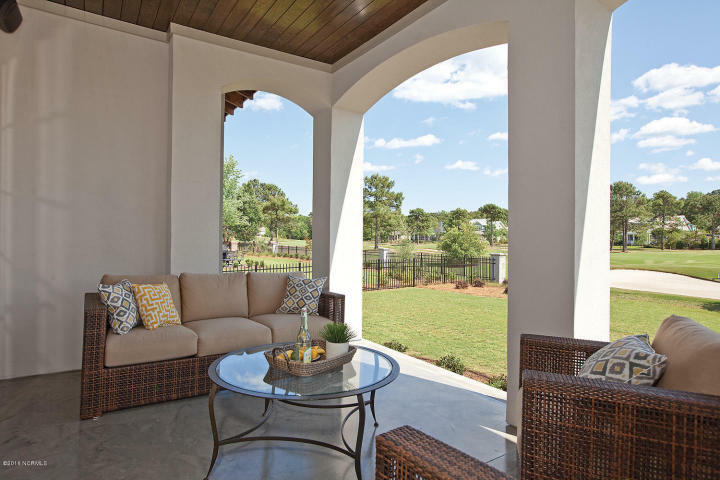 An Expansive Open Terrace with gas grill makes this Outdoor Area complete. We could go on and on about this amazing home… one must see it to appreciate it. This Saturday at Wrightsville Beach is the 3rd Annual Pier-to-Pier Swim race. Swimmers start at Crystal Pier and swim to Johnny Mercers Pier and back, swimming just under 2 miles. The race starts at 9:00 AM, when hundreds of swimmers splash into the ocean. The race is in honor of Grey Liston who died in 2013 in a mountaineering accident. Liston was member of the Wrightsville Beach Ocean Rescue team for 4 years and swam for the UNCW Seahawk’s swimming and dive team. Proceeds from the Pier-to Pier Swim go to the Grey Liston Scholarship in Athletics Endowment Fund, which benefits a deserving UNCW swimmer or diver. This Saturday, enjoy a morning at the beach, and cheer on these athletes who are swimming for a good cause. This weekend in Wilmington is one of the most popular festivals, the 22nd Annual Greek Festival. Taking place at the St. Nicholas Greek Orthodox Church, the event’s proceeds benefit the church and the Good Shepard Center. The event attracts thousands of attendees every year who enjoy a day experiencing Greek culture. The festival features food, music, dancing, a marketplace, cooking demonstrations, and church tours. The event starts at 11:00am and lasts until 10:00pm Friday and Saturday and on Sunday starts at 11:00am and ends at 7:00pm. Admission is $3.00 for adults and free for children. For more information on the Greek Festival visit their website http://stnicholasgreekfest.com. Young families make up a large portion of Landfall’s residents and the Country Club of Landfall’s members. With the school year ending, the Country Club of Landfall offers numerous programs for the kids to keep them active and entertained all summer. One of the most popular is Camp Landfall. The camp offers 4 sessions throughout the summer to fit around your schedule and vacations. Camp Landfall is Monday thru Friday from 9am until 3pm for ages 6 and up. Activities during the day include group games, water fights, swimming, theater shows, outdoor planting projects, and exciting field trips. Additionally, there is a Junior Camp Landfall for children ages 3-5 years old. This camp also lasts Monday thru Friday but starts at 9am and ends at 12pm. The Junior Camp Landfall has educational and play activities, walks to the park, circle time, arts and crafts, stories, snacks, and more. Also, there are golf and tennis camps all summer, which you can find out more about by contacting the golf shops or Sports Center. Then on June 13-17 from 9am until 3pm the Country Club of Landfall has a Star Quest Space Camp where attendees will learns about the solar system and participate in hands on experiments. Beginning June 21st there every Tuesday-Thursday from 1:30-3:30pm there will be cooking and crafting classes offered. For all the kids who love to swim there is a Specialty Mermaid Camp being offered for two sessions. This morning camp includes crafts, learning about the ocean, and swimming. To sign up for any of the camps call the County Club of Landfall. Last night at the Wilson Center at Cape Fear Community College was the first showing of the famous musical Mamma Mia! The Broadway musical is based on songs from the 70’s pop group, Abba. Featuring over 15 songs by the band, the musical is upbeat and keeps the audience engaged the whole time. Mamma Mia! is about a daughter who about to get married trying to find her real father out of three possible options. Tonight is the second and final showing at the Wilson Center at 7:30pm. Tickets prices vary from $45 to $95 and can be purchased at http://cfcc.edu/capefearstage/mamma-mia/. The newly built Wilson Center will be hosting other famous musicals in the coming year including Annie, Elf, 42nd Street, Cinderella, Pippen, and Dirty Dancing. Be sure to visit one of these musicals and enjoy the new Wilson Center! This weekend is the start of the Airlie Garden’s 2016 Summer Concert Series! The series begins this Friday, May 6th, and takes place on the first and third Friday until September 16th. This week’s band is Signal Fire, a reggae band that is sure to get everyone in the summer mood. 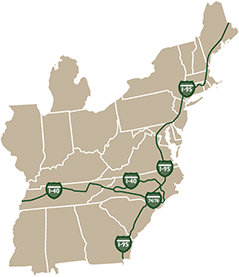 Other bands performing this summer are Boba Funk, The Midatlantic Band, Jack Jack 180, Stray Local, L Shape Lot, BLP, Bibis Ellison, ‘Shine, and Jim Quick & Coastline. The concerts are from 6:00pm until 8:00pm and are open to the general public. Admission is $9 for adults and $2 for children. Parking for the concerts is located at the old Cinema 6 at 5335 Oleander Drive, where trolleys then drive attendees to Airlie Gardens. There will be vendors selling food or drinks, or guests can bring their own. For more information on the Airlie Concert Series or to buy tickets visit their website http://airliegardens.org/events-news/purchase-tickets/concert-tickets/.